Happy Sunday, everyone! Hope your weekend has been as gorgeous where you are as it has been in Newport, where we’re entering our final week of vacation. One of my earliest blog posts on Interiors for Families was all about the Greek key motif in contemporary design and furnishings. 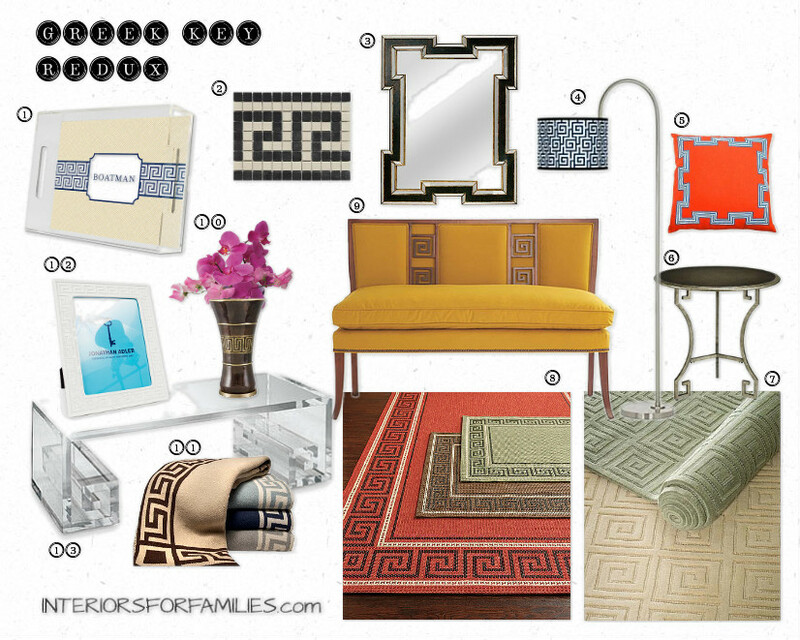 Just barely scratching the surface there, I wanted to revisit the topic, and pull together a concept board jam-packed with great items for your home featuring Greek key (meander, fret, etc.). Do you have any Greek key in your home? Of course – thanks for stopping by! Hmmmm, does my stair runner qualify as Greek key?